Good: Updated design, great selection of potential hits. Bad: Hit or miss, expensive price tag. 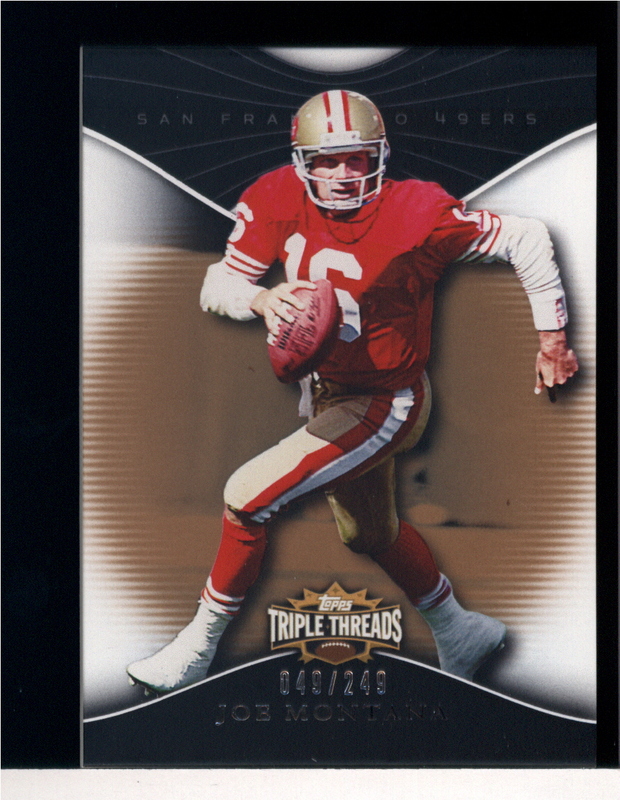 The Bottom Line: 2009 Topps Triple Threads Football is a good quality product, but its level of enjoyability can vary a great deal from box to box. 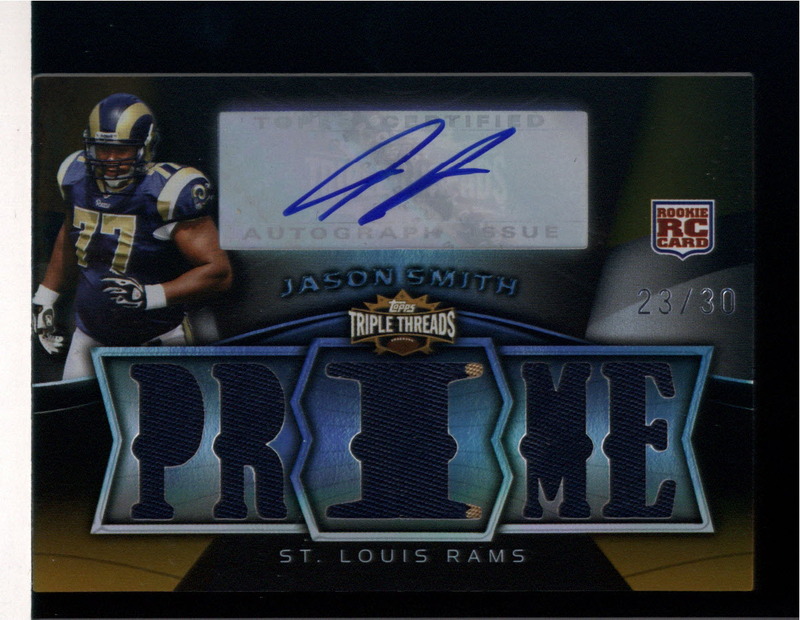 Most every collector who buys a box of Triple Threads does so because of the product's high end hits. 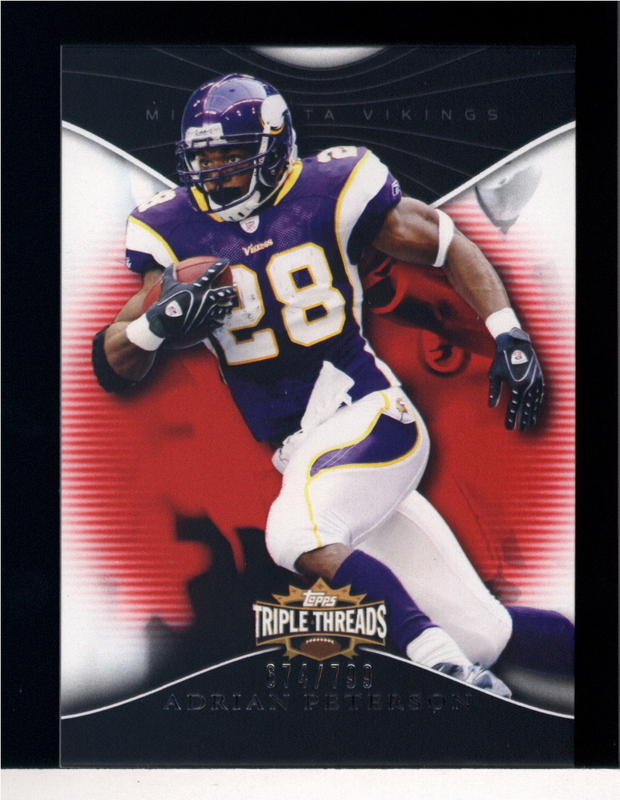 If you are lucky enough to land a nice hit or two, then 2009 Triple Threads Football is about as good as it gets. The design of the autograph and game used memorabilia patch cards is sleek and very well presented. Unfortunately the same can not be said about the base cards, which have retained the same basic look of past Triple Threads products. 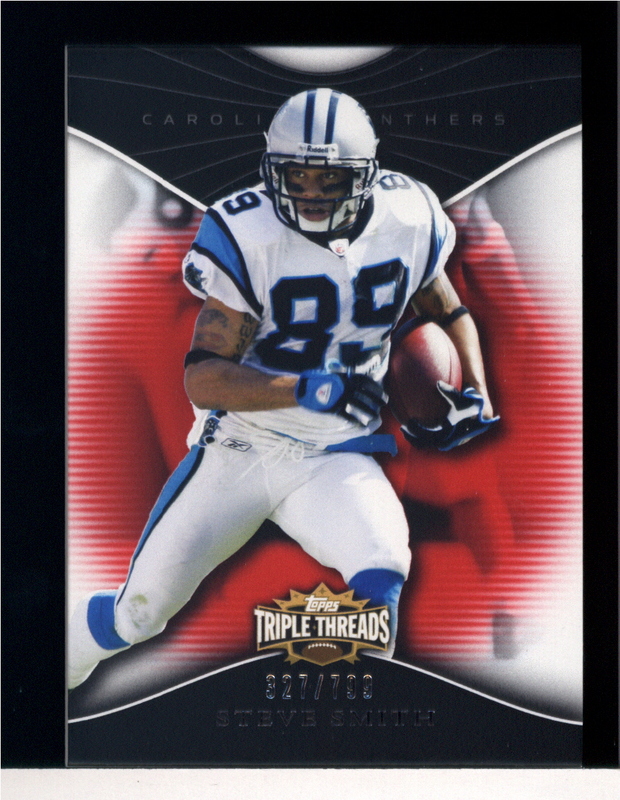 If a good quality high end football card product is what you seek, 2009 Triple Threads Football is one of the better choices available among 2009 products. 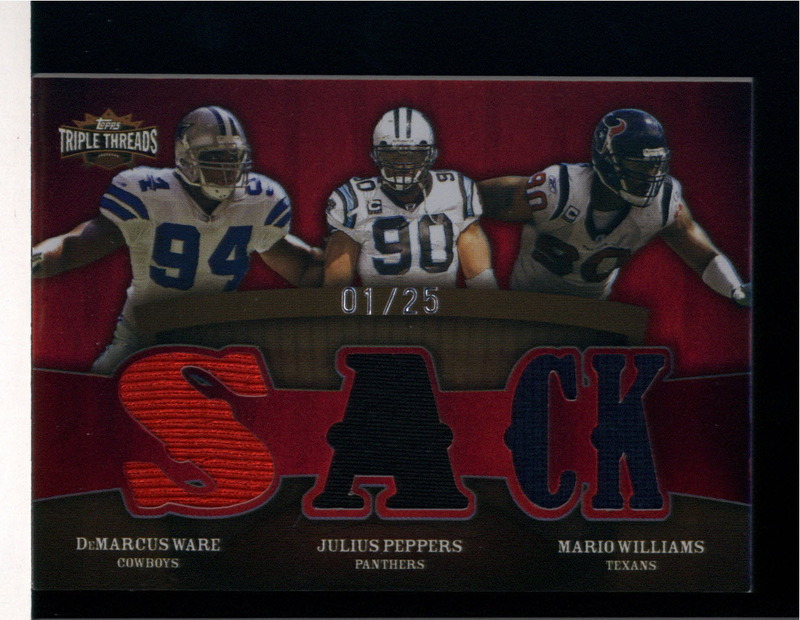 Packed to the brim with cool combinations of past and present NFL Stars. Also expect to find the requisite assortment of rookie talent represented on various autograph and game used memorabilia patch cards. 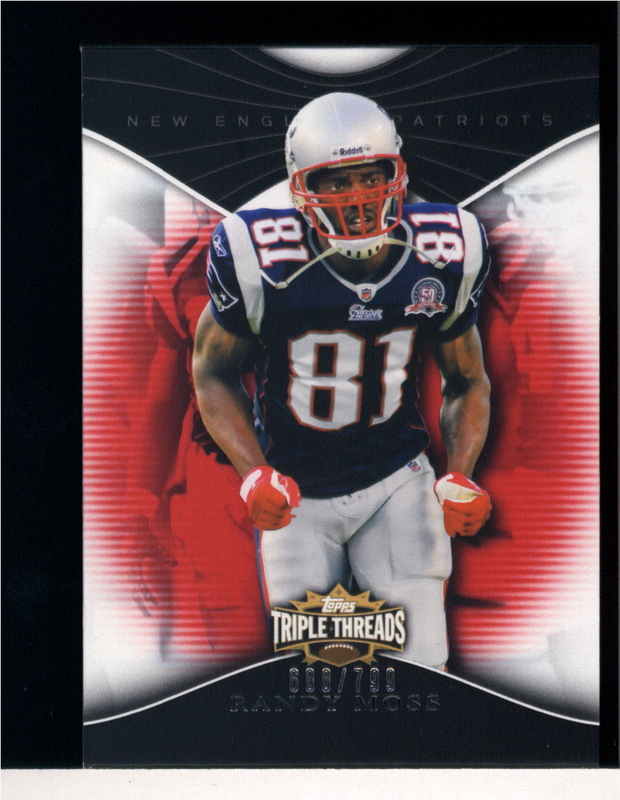 The enjoyability of 2009 Triple Threads Football can vary a great deal from box to box. Most every collector who buys a box of Triple Threads does so because of the product's high end hit appeal, so I graded the product according to these standards. Fundamentally this is a fun and exciting set. 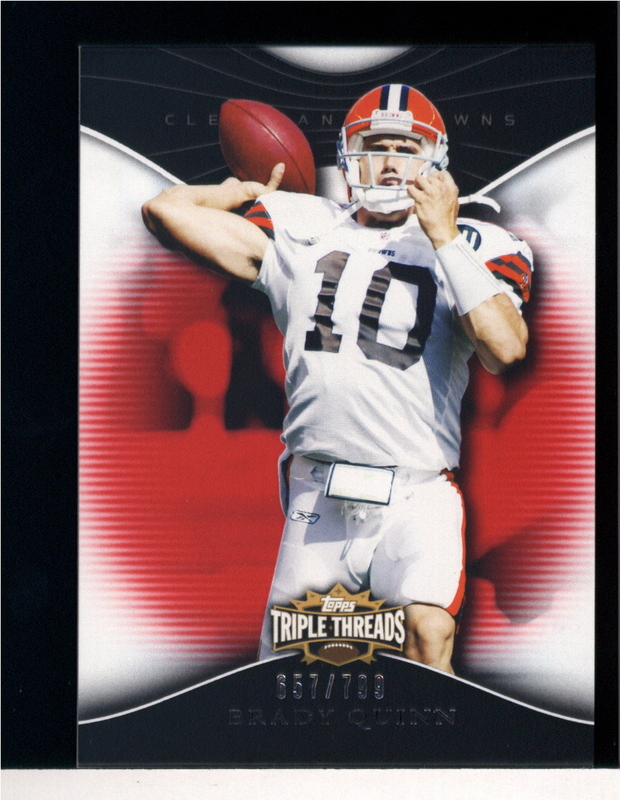 If you are lucky enough to land a nice hit or two, then 2009 Triple Threads Football is about as good as it gets in terms of football card products. However, it does not have enough to offer above and beyond its 2 core hits per hobby box to soften the blow of pulling subpar hits. My box was a great example of this, as my hits consisted of 3 defensive linemen and 1 offensive lineman.